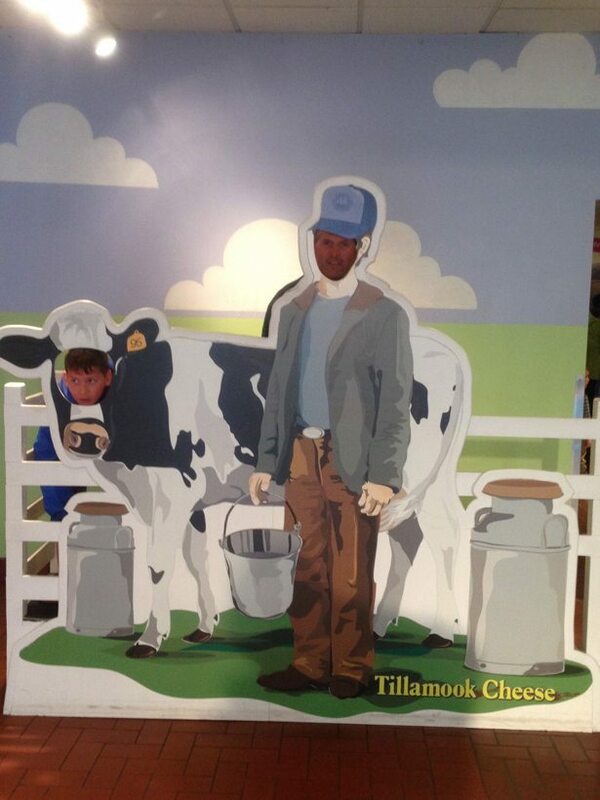 There were groans and odd looks when I said that we were going to do a cheese factory tour as part of our drive along the northern Oregon coast. What??? Huh??? How interesting can that be??? 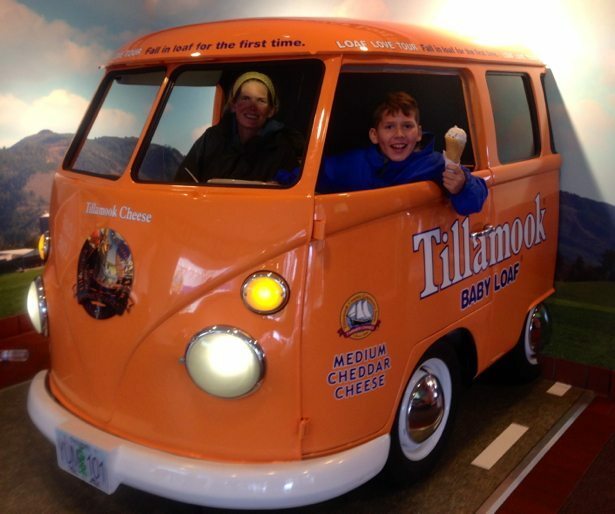 Well – the Tillamook Cheese Factory Tour was a hit (hah!). I’m sure it helped that they also make Ice Cream and as you walk in the front doors of the Factory you are presented with this very large Ice Cream shop… we held out and waited until the end for our treat. 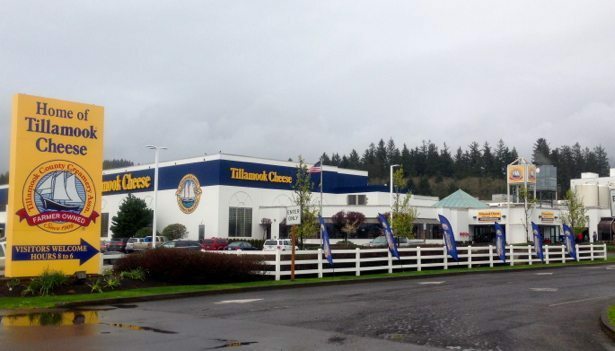 Tillamook is actually run by a cheese co-operative, with the dairy farmers as the owners. It is a pretty cool story and has been in place for over 100 years. 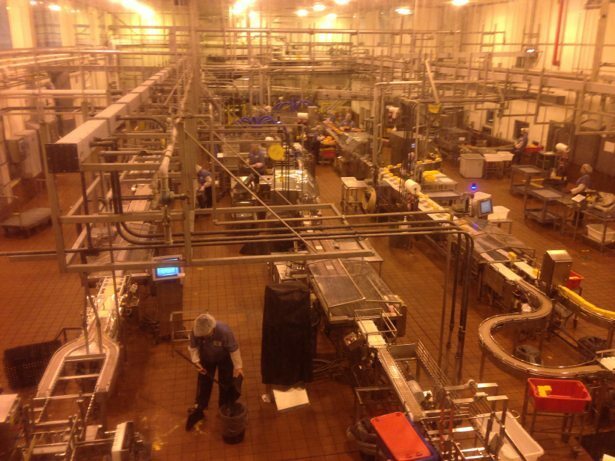 It helps them ensure high quality standards and have an end to end view of the cheese / yogurt / ice-cream process. 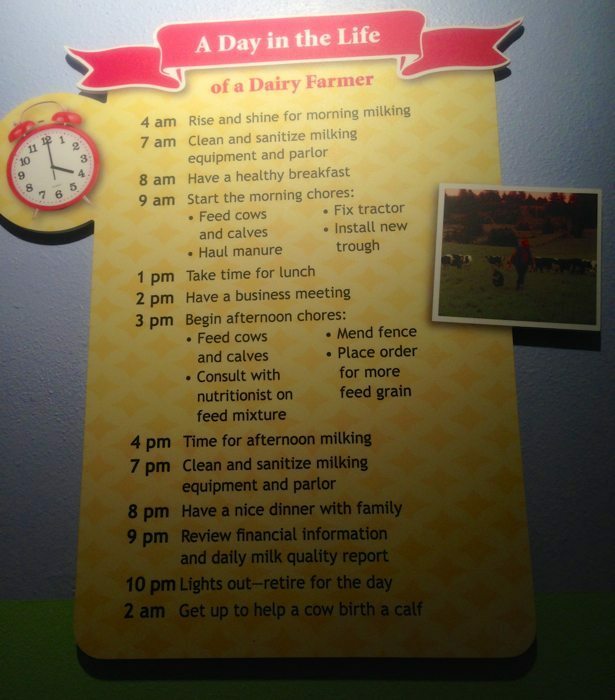 As cool as having cows would be, we all agreed that we are not ready to make the lifestyle commitment to become a dairy farmer. 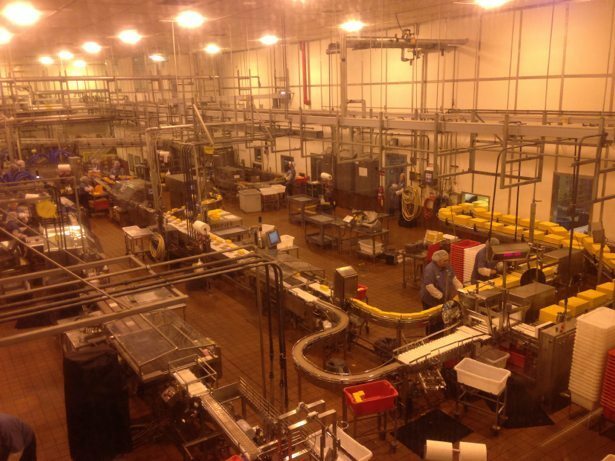 There is a wonderful viewing area on the second floor that enables you to look down on the entire manufacturing process. Milk is delivered from the farms daily (to ensure freshness) and within 24 hours it is turned into a 2ft x 2 ft block of cheese. 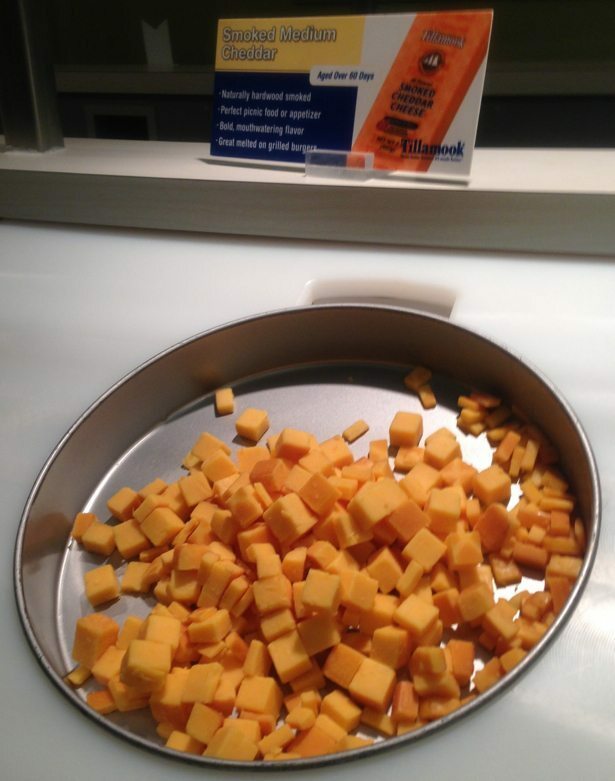 It is vacuum packed, put in a cardboard box and then goes off to aging storage for between 60 and 180 days. It then comes back into the manufacturing area where the block is cut into bricks and packaged up to go to the store. 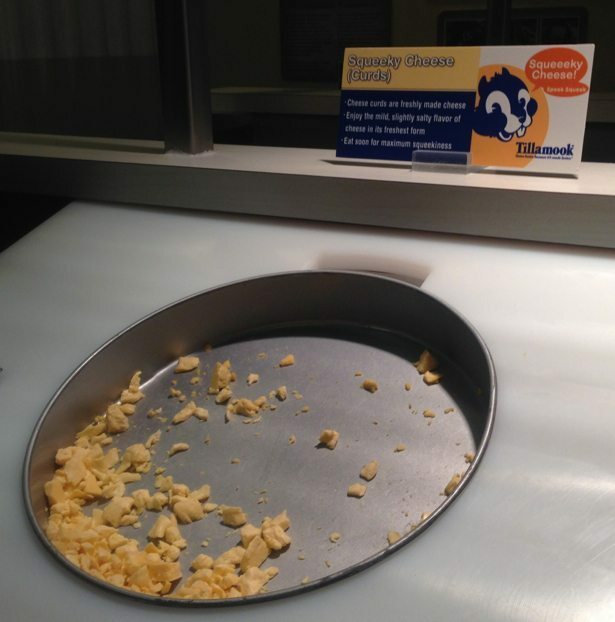 At the end of the tour there is a sampling area where you get to test out 7 or 8 different cheeses. Hunter and Tim are pretty much Marble Cheese guys so this was a great opportunity to expand their horizon’s with minimal risk. 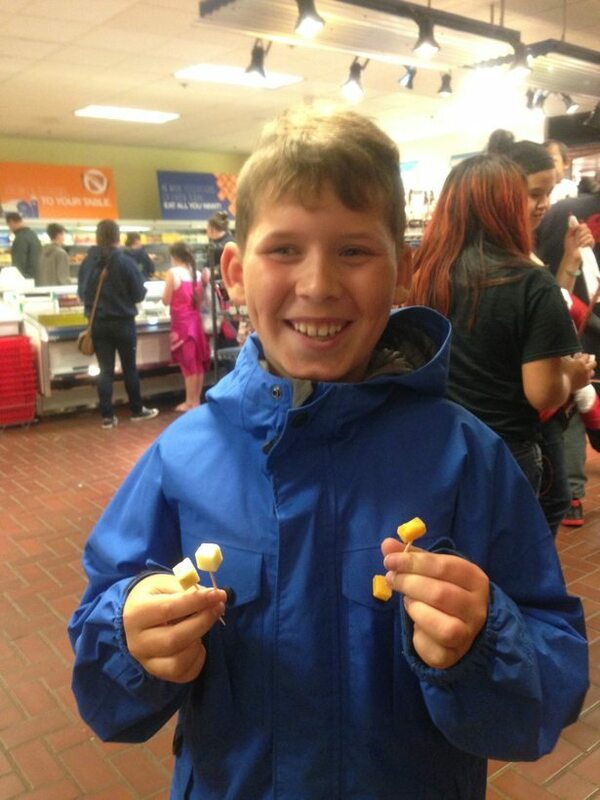 We came away reaffirming that Tim likes Squeaky Cheese (cheese curds) and Hunter doesn’t. 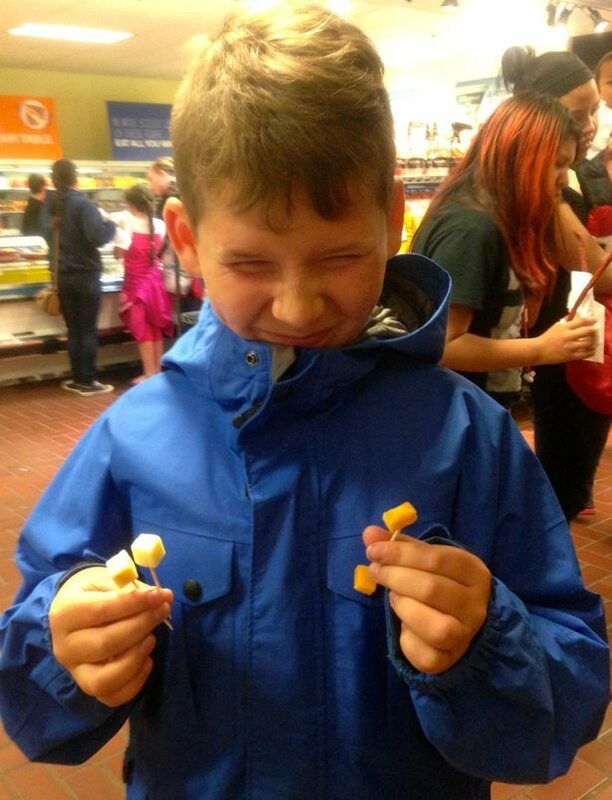 They also both discovered that they like smoked cheddar so we bought a small package of that at the handy retail store.